In addition to our DC and AC cooling fan technologies, YS Tech USA also designs and manufactures custom heat sinks. We can build heatsinks to match your existing designs, or work with you to develop a new custom solution that meets all of your application and performance requirements. A heat sink (or heatsink) is a passive heat exchanger device that transfers heat from an electronic or mechanical device to the surrounding air or, sometimes, to a liquid coolant. This dissipates heat away from the device and helps maintain its operational temperature at optimal levels. Heatsinks are designed for maximum surface area contact with the surrounding cooling medium, and usually take the form of a series of multiple thin fins running in parallel, with gaps between them for air or liquid to pass through. A fan is often included on air-cooled heat sinks to provide greater flow of air between the cooling fins. Most heat sinks are manufactured from copper or aluminum, both relatively lightweight materials with good thermal conductivity. 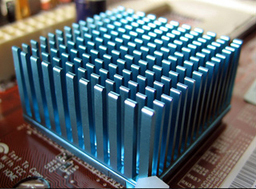 Heat sinks are commonly used to cool CPUs and graphics processors in computers, and to regulate the temperature of power transistors, lasers, and other high-powered semiconductor devices. YS Tech knows that time is always a factor in development cycles. We pride ourselves on being very responsive to our customers’ needs, with the ability to keep the design and engineering process moving quickly for fast manufacturing turnarounds. We can take your project from the design stage through full production with ease. Our specialty is creating custom heat sinks in sizes and styles to fit our customers’ unique needs. We offer value added features and options that ensure superior performance and longevity in nearly any thermal management application. We provide simulation, prototyping, and thermal validation services to help you optimize your designs for maximum performance. 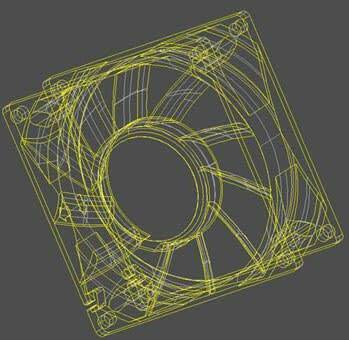 We utilize advanced fluid dynamics simulation software in all heatsink design processes to accurately predict airflow and heat transfer in and around electronic equipment. We also offer technical support for CAD modeling, contact analysis, spring pressure, and interface materials. Other heat sink materials are available, per your application requirements. Contact us to discuss your material needs. All YS Tech USA heatsinks are built with our philosophy of Innovation, Quality, and Efficiency in mind. We deliver custom heat sinks to meet your exact specifications. Contact us or find the nearest distributor to place an order or to learn more about our heatsinks.